Rose Hydrosol + Jasmine + AHA + BHA Come together to slough off dead skin cells and reveal smoother + brighter + more even looking skin. Resurface + soften + even tone + texture + reduce scarring + anti-aging! This is not a chemical peel, just super gentle fruit extracts and gentle exfoliation. This is not the product for you if you have super dry skin, painful active breakouts with open sores, or if you regularly do in-office chemical peels at a dermatologist. I offer a few Alpha Hydroxy options and this one is ideal for those ages 20-40 who are just starting to see early signs of aging + post acne scarring + fine lines + uneven tone + general dullness. If you have dry or sensitive skin, you want to use one of the oil based AHA serums, like Quick Turnaround Serum. ❤Daily exfoliation without scrubbing, stinging, or burning. ❤Brightens Tone + Evens Texture + Reduces appearance of scars + fine lines. ❤ PH Balances skin + helps close pores + remove residual cleanser. ◆ 5% Alpha Hydroxy Acids from fruits help to reduce appearance of fine lines and wrinkles, smooth, hydrate, and skin appears brighter over time. ◆ 2% Beta hydroxy acids unclog pores and reduce redness. ◆ Designed to be gentle and safe for daily use. ◆ This toner helps to brighten your complexion as well as leave your skin super smooth. ◆ If your skin is dull + uneven + breakout-prone + has scars or spots, this is the tonic for you. ☛☛When using AHA products, be sure to wear sun block during the day. Check out my Smooth Perfection Daily Protection Beauty Balm or Sun Lover's Cream. ★Bilberry, Sugar Cane, Orange, Lemon, and Sugar Maple. 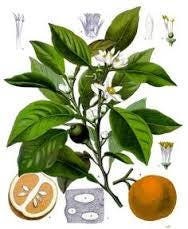 These botanical extracts deliver five natural AHAs to the skin: Lactic Acid (from Bilberry), Glycolic Acid (from Sugar Cane), Citric Acid (from Orange and Lemon), and Malic and Tartaric Acids (from Sugar Maple). 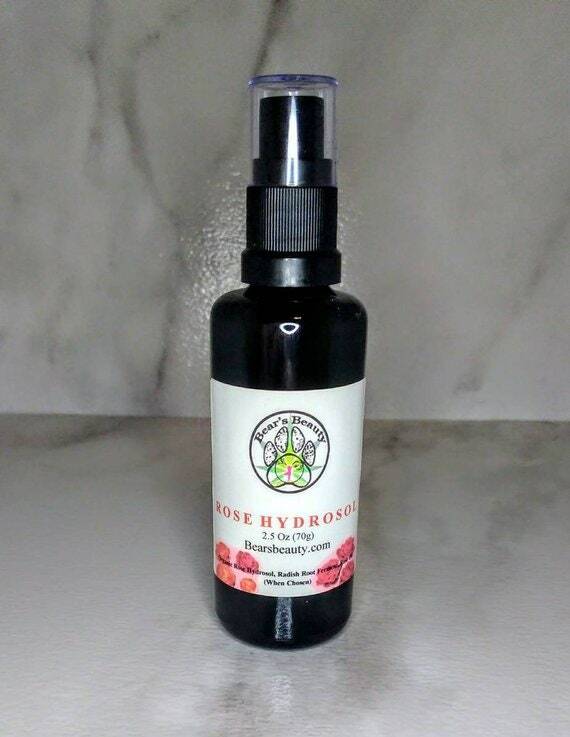 ★Organic Rose Hydrosol helps brighten + tone + and uplift the spirit! ★Organic Licorice Root + Organic Green Tea brighten and offer antioxidant protection. ★Lemon Peel Bio Ferment + Dragonfruit Extract brighten + even tone. ★Lactobacillus Probiotic + Radish Root add hydration and naturally preserve as well as nourish skin. Instantly leaves skin softer and smoother. Reduces the appearance of uneven tone + texture + fine lines over time. Mist on a cotton pad and use as a toner twice a day. You will need to use a moisturizer after this toner. I like to use a light facial oil.